My first Green Seattle Day was 2008. I was a 25-year-old AmeriCorps volunteer with the Cascade Land Conservancy and it was my term’s opus to coordinate this volunteer event at Seward Park. 9 years later I can go back to the scene and see what has become of that day when hundreds of volunteers showed up for a few hours and planted a forest. What looked like plastic pots of bare sticks have grown into shrubs with some serious presence. 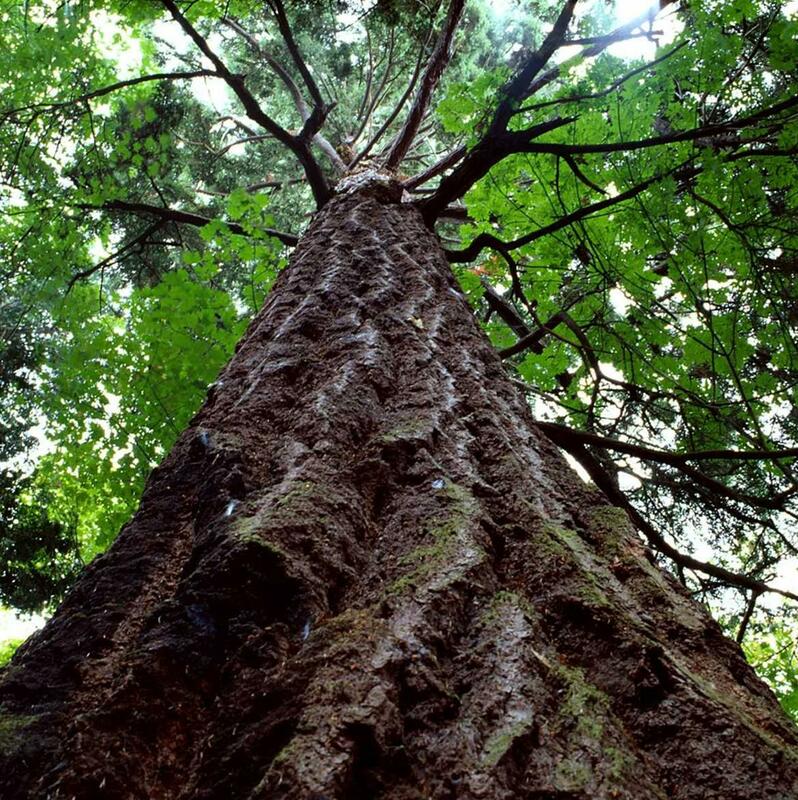 Where a young child towered over a small Douglas fir now an adult looks up to see the top. You can see for yourself below, but our future healthy forest is growing. The “before” photo was taken at Seward Park on Green Seattle Day 2008. The “after” photo was taken in the same site 9 years later! You have your own chance to plant the future forest with us for our 12th Annual Green Seattle Day being held on November 4th, 2017. Our urban forests provide a host of researched benefits to Seattle and its residents: wildlife habitat, improved air quality, stress reduction, stormwater absorption, and more. Beyond these quantifiable benefits, access to big healthy trees in our parks is just part of the PNW identity. 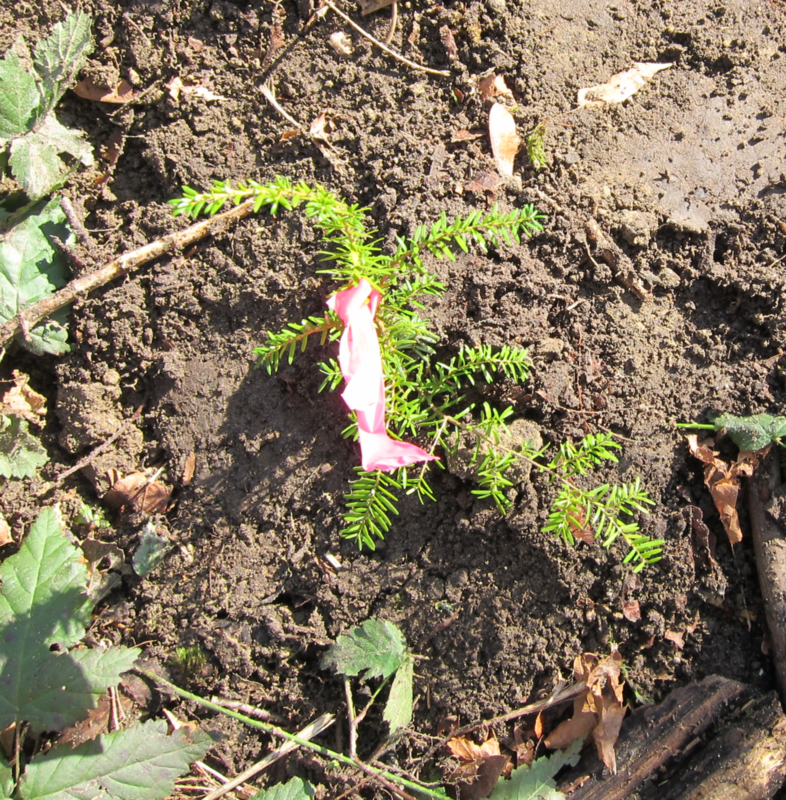 As you read this thousands of baby native trees, shrubs, ferns, and ground covers are patiently resting in waiting to be planted by volunteers in a Seattle park this year. Most of the trees fit into a 1 gallon container and stand maybe 12 inches tall. It’s hard to comprehend that 100 years from now that tree could be standing up to 250 feet tall. In a world where we focus less and less on long term benefits and more on instant gratification, trees remind us to slow down, breathe in the fresh air, and marvel at the impact a few hours of planting can have on our environment. Taking care of our forests is taking care of our health, our family, and the future generations.